Shelter Cymru’s Art Auctions return for their 13th year. The Annual Welsh Art Auctions are one of the biggest events in our fundraising calendar, as well as a guaranteed great evening out. Since 2002, we have raised an incredible £176,000 to support our work, thanks to the continued generosity of the artists and all those who come along and buy artwork. Artists, who are Welsh or based in Wales, very generously donate their work so that all the income from the auctions goes directly to helping people in housing need in Wales. There’s always a wide range of styles, sizes and prices to suit every wall and pocket. 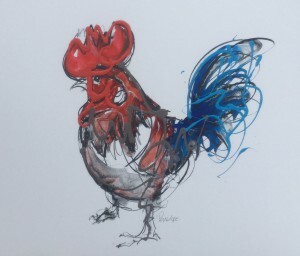 This year we have a royal connection as one of the contributing artists Seren Bell, has been commissioned by Prince Charles to paint a number of works for his new home. Our North Wales Auction will be held on the 20th September at Rossett Hall, Wrexham and then we finish off once again at the Penarth Pier Pavilion on Friday 25th September. Visit the Shelter Cymru Art Auction’s page to view this years collection. We do hope you will be able to come along and join us at one of our Auctions. For more details please contact a member of our fundraising team on 01792 469400.